Robert Snodgrass starred and Toni Martinez scored as the Hammers lifted the Betway Cup in Austria against FSV Mainz this evening via one of those really tense penalty shoot outs. I jest! In the end we won it 7-6 with only Arthur missing when hitting the foot of the post with the opening spot kick. Our scorers were Snodgrass, Martinez, Obiang, Arnie, Cullen, Adrian and Diop. 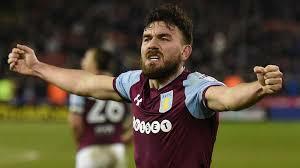 It had been one of several runs by the 30 year old who along with spome fine set piece deliveries now looks to have nailed down a place in Manuel Pellegrini’s squad with a committed and at times exciting performance. Probably the other performer of the evening was Declan Rice who barely put a foot wrong in the defensive midfield position and looks capable of saving the club money in the transfer market in that position – we shall see! Arthur Masuaku impressed in his attacking left sided role but was lost on a couple of occasions when being called to defend down that side. Michail Antonio looked to be back to something like his normal self causing some alarms in the Mainz defence but saw a couple of chances go over the top. Manager Manuel Pellegrini chose to rest the to big buys Andriy Yarmolenko and Felipe Anderson for a match where there was a distinct lack of atmosphere inside the stadium despite the efforts of a few Hammers fans givjng us a low key rendering of Bubbles. It may be that which produces a lack of excitement at a performance which picked up in the second half of the first and second halves. Mainz equalised with a fiercely hit drive from Quaison which also took a deflection before the Hammers stepped up the pace towards the end and kept their momentum going though the shoot out. There’s still a bit to work on but with only one defeat from five pre-season games the Hammers will go into their final game of the summer against Angers SCO on Saturday in good heart.